Steenwerck is a village in the Department of the Nord between Armentieres and Bailleul. 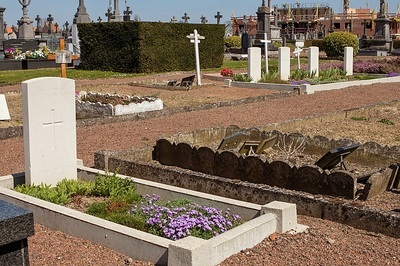 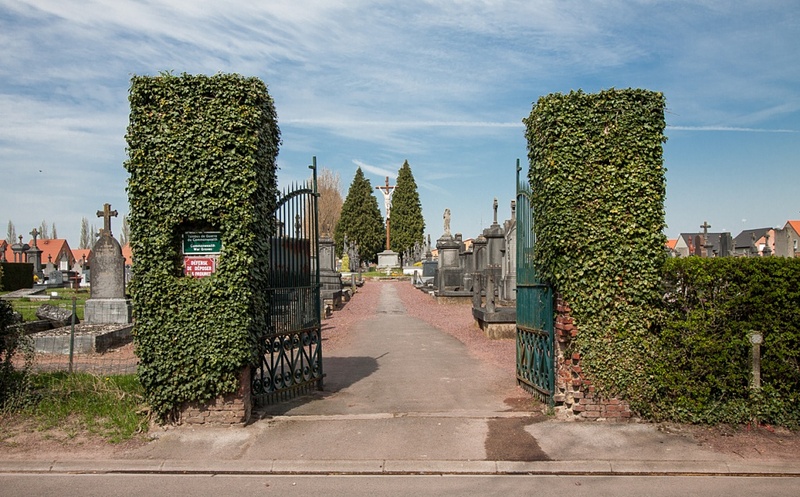 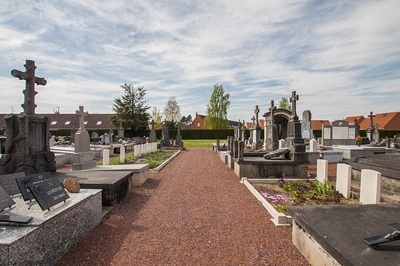 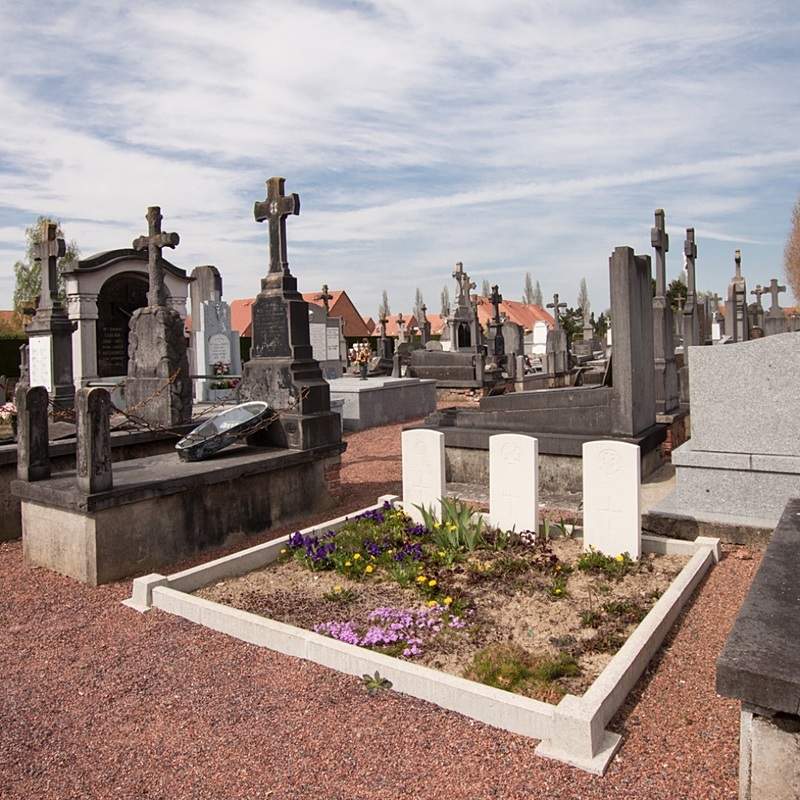 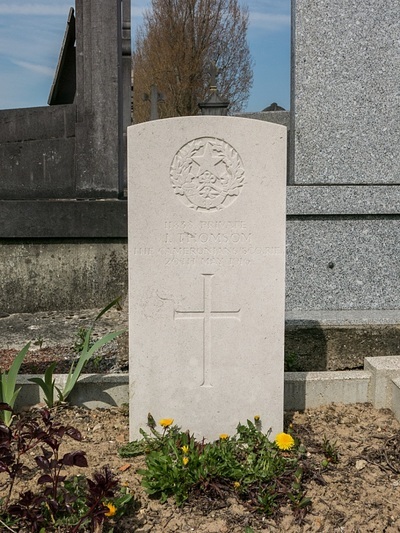 When in the village of Steenwerck, to the west of the church, take the right fork from the sign indicating Le Grand Beaumart British Cemetery to find the communal cemetery. 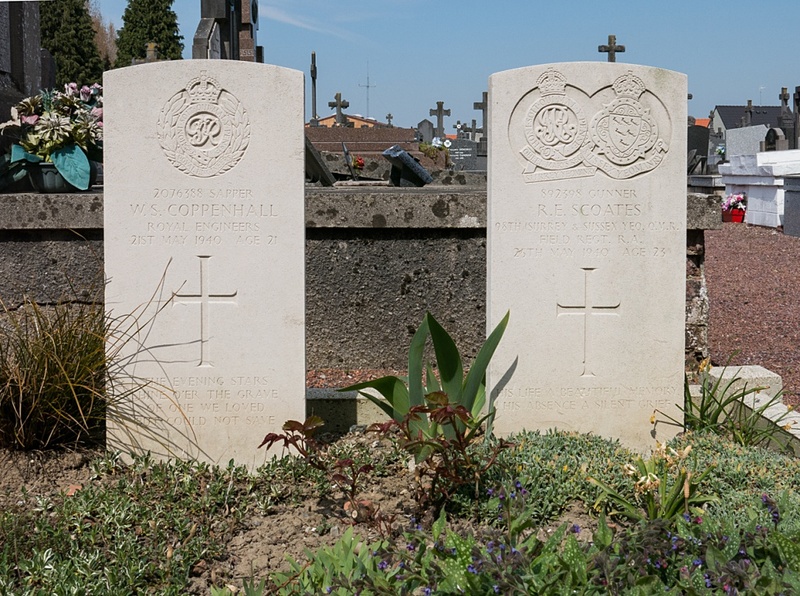 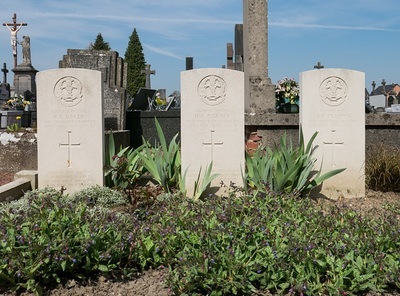 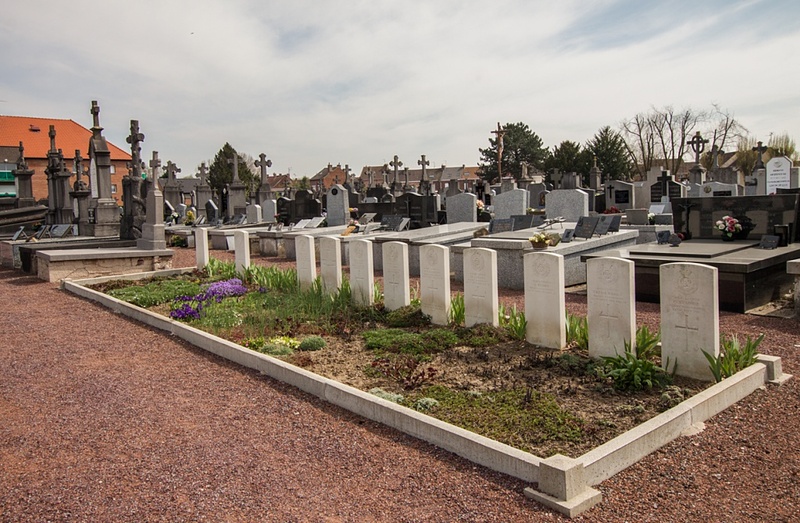 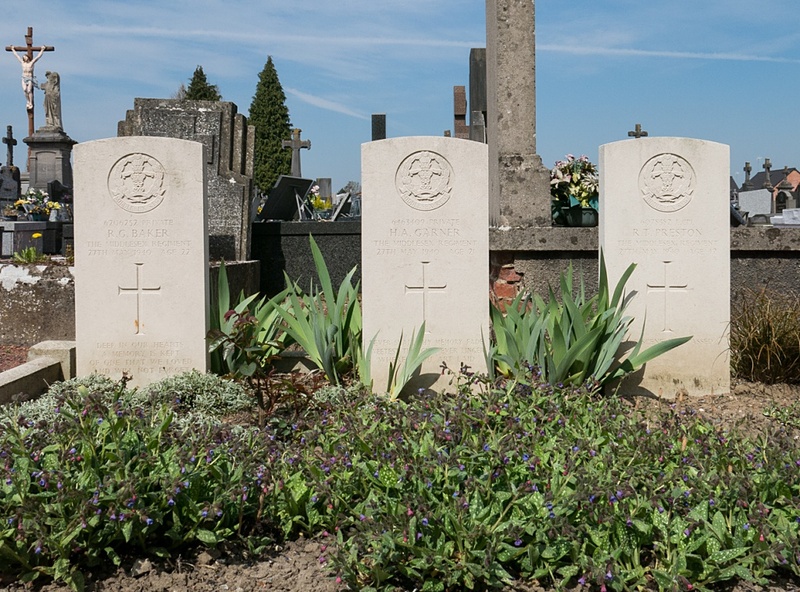 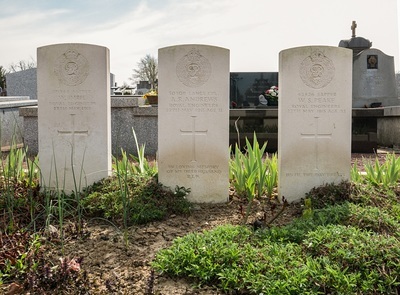 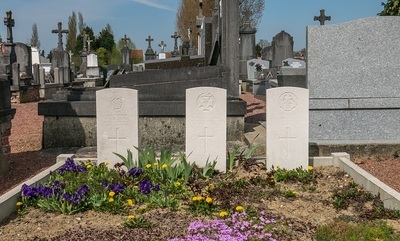 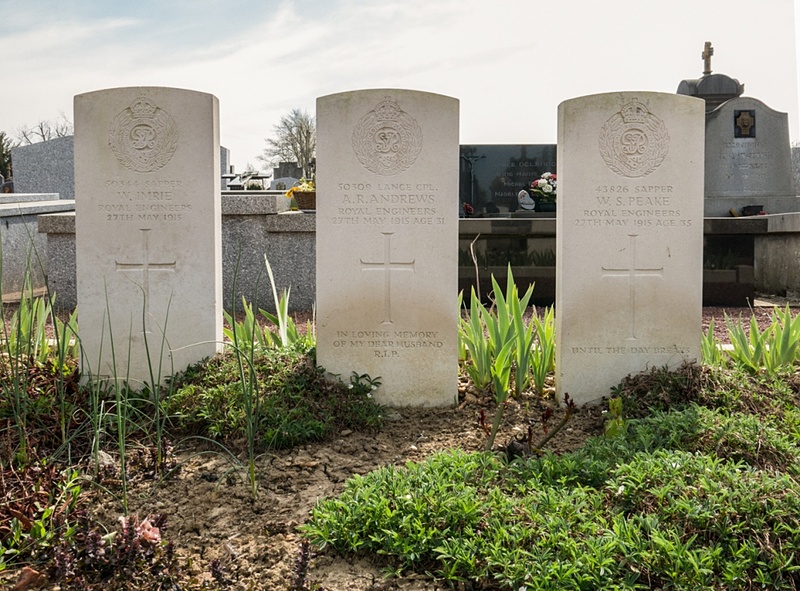 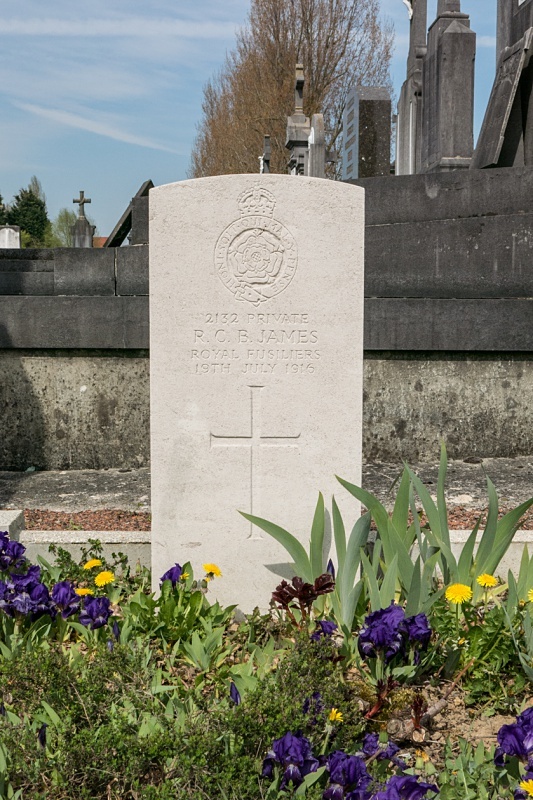 The war graves are located in 5 plots located to the left of the main path of the cemetery. 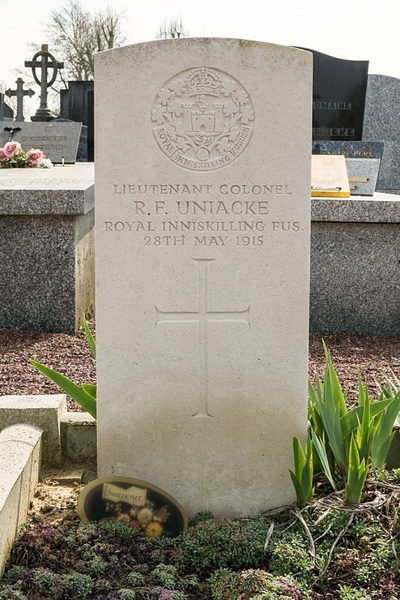 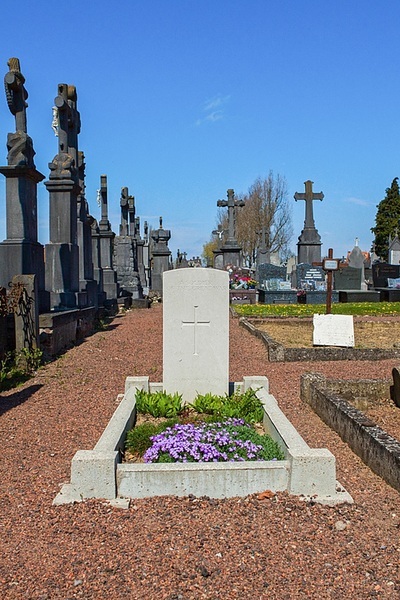 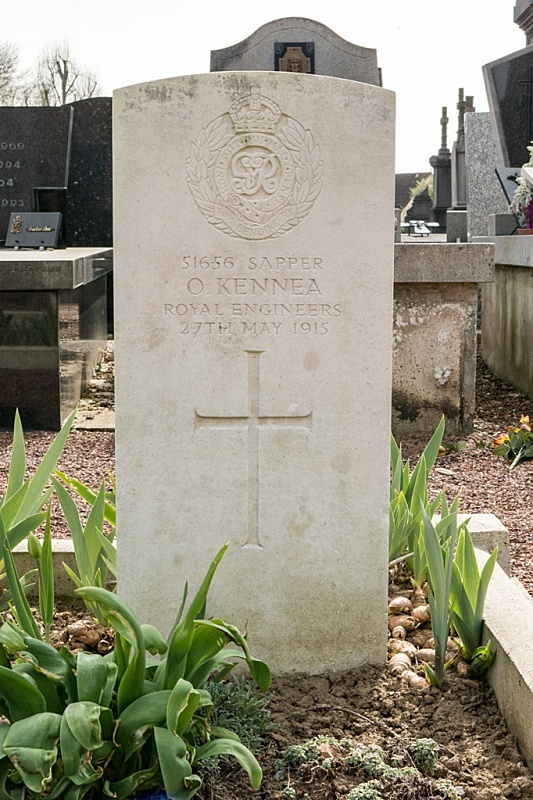 During the 1914-18, 13 graves were made by Field Ambulances in 1915-16 and the rest were buried by the enemy in 1918. 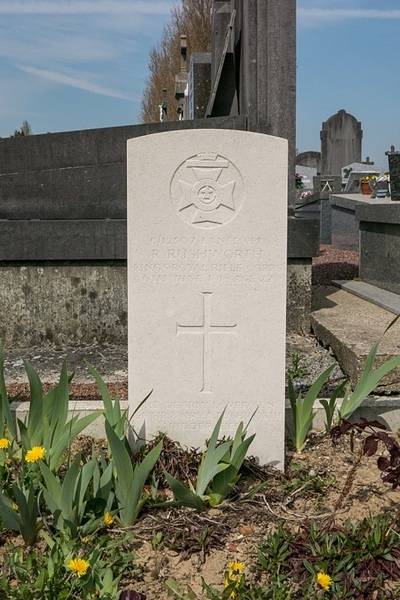 The 31 German graves have been removed. 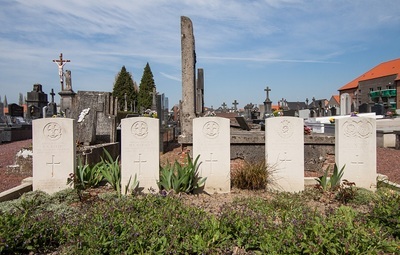 There are 19, 1914-18 war casualties, of which 5 are unidentified and 5, 1939-45 war casualties commemorated in this site.